Looking for a nice lot in Citrus County? 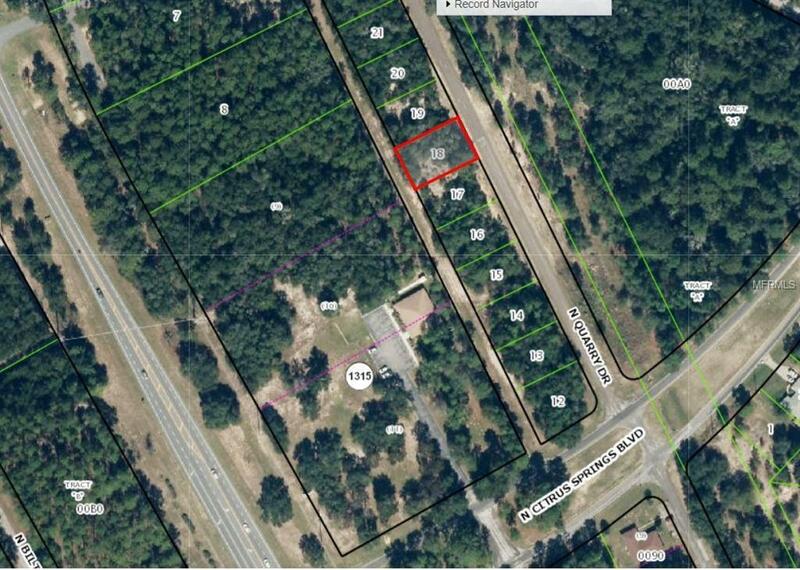 This 0.23 acre lot is located near shopping, restaurants and Citrus County attractions. If you are looking for more land, the adjacent parcel is also for sale (MLS H2204473). Lots are approximately 400 ft from corner of N. Citrus Springs Blvd and N. Quarry Dr.